The beautiful township of Eumundi is a vibrant rural community situated on the Sunshine Coast, 15km inland from Noosa on the Bruce Highway. This festive hinterland town is famous for its artisan markets, held each Wednesday, Friday & Saturday where artists, growers and providores sell their wares to locals and national and international tourists. If you’re coming from the South – Nambour, Beerwah, Caboolture, Brisbane – follow the Bruce Highway and exit at the Eumundi/Noosa offramp. Turn right at the roundabout, left at the next roundabout, and you’re in the main street. If you’re coming from the North – Cooroy, Gympie, Wide Bay, Central or Northern Queensland – follow the Bruce Highway and exit at the Eumundi offramp. Take the second exit off the roundabout, and follow for less than a kilometre, and you’re in the main street. If you’re coming from the southern Sunshine Coast – Maroochydore, Mooloolaba, Caloundra – head North on the Sunshine Motorway, turn left at the roundabout on Eumundi-Noosa Road, and follow all the way to Eumundi. You’ll need to turn right at the roundabout as you get into Eumundi, and you’re in the main street. If you’re coming from Noosa, follow the Eumundi-Noosa Road all the way to Eumundi. You’ll need to turn right at the roundabout as you get into Eumundi, and you’re in the main street. If you’re coming from interstate or overseas, Virgin Australia and Jetstar operate daily flights into the Sunshine Coast airport from Sydney and Melbourne. From the airport, head North on the Sunshine Motorway, turn left at the roundabout on Eumundi-Noosa Road, and follow all the way to Eumundi. You’ll need to turn right at the roundabout as you get into Eumundi, and you’re in the main street. Once you arrive in Eumundi, you can get most places with a short stroll through town. If you are staying at a B&B they will provide you with a map and directions on how to get around town. On market days, Wednesday and Saturday 52 weeks of the year, parking is at a premium. The town has two public car parks in Napier Street and you can access these for a contribution which goes back into the town’s community groups and infrastructure development. Regulated parking is in place, so be careful not to overstay the limit otherwise you may get a parking fine! Eumundi is a historic town and we love to our rich heritage. 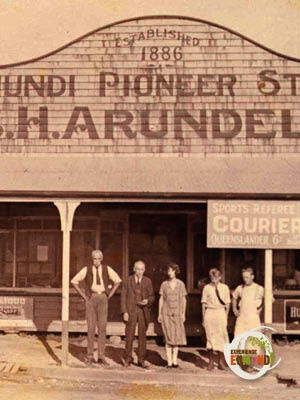 Here you’ll find all need to know about Eumundi or you can get up close and personal with Eumundi’s past in the many historic buildings around town or visit Discover Eumundi Heritage & Visitor Centre to experience it all under one roof. 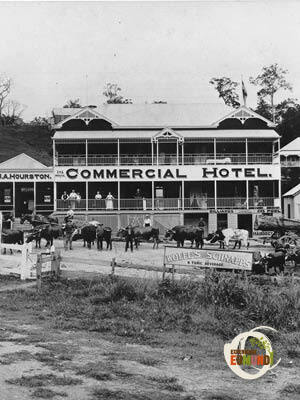 The township of Eumundi came into being in 1891 with the construction of the railway line between Cooroy and Yandina. It’s main industry was timber getting and in its heyday the town boasted two saw mills. It is now a vibrant rural community situated on the Sunshine Coast, 15km inland from Noosa on the Bruce Highway. Learn more here. Did you know? The name ‘Eumundi’ maybe derived from an Aboriginal term ‘ngumundi’ meaning ‘black snake’! 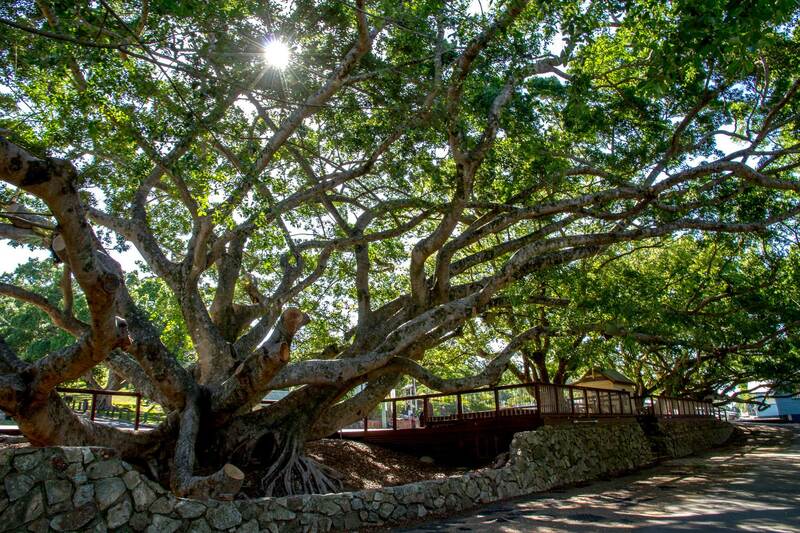 The best starting point to experience the history of Eumundi has to be – Discover Eumundi Heritage & Visitor Centre. The friendly centre staff can give you the inside scoop on all things Eumundi and help you plan your adventure. The Centre is also custodian of a number of historic Eumundi artifacts and collections taking you back to a simpler time. Learn how the first settlers lived and all about the indigenous culture of the area or take a trip to the old jail house. You’ll find all your looking for and a little bit more.